The basis of intraoperative monitoring is discussed. Techniques for intraoperative recording of brainstem auditory evoked potentials (BAEP) and electromyographic (EMG) potentials from muscles that are innervated by cranial motor nerves are described. 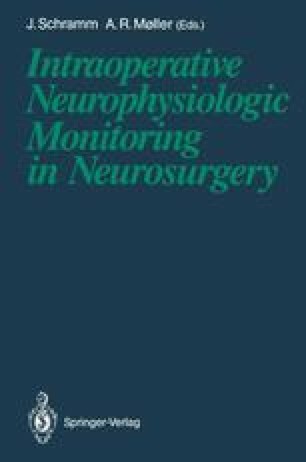 It is shown that intraoperative recordings of evoked potentials not only are of value in helping to reduce neurological deficits as a result of surgical manipulations, but they can also be used to guide the surgeon in some types of operations.